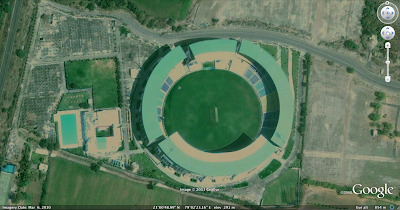 Can you identify this stadium? Are you crazy enough about cricket to stay up late watching the last ball of any match? Do you drive/cycle/walk around a lot and love using maps to plan your moves? If you answered yes to either or both, then come help us map all 13 venues where the cricket world cup matches will be played; on Google Map Maker. Look at this example for inspiration! Nearby areas of interest, etc. You could add a feather in the cap of your city by also mapping out all important roads leading in to and out of the stadium from all major locations in the city (for example, the road from the airport to the stadium). You can also collaborate with other users mapping in your countries. If you need pointers, see how other mappers are going about mapping out their favorite stadiums. And if you are too late to map one of the 13 venues, remember there are other great stadiums you can help with.